Anger in children is a subject we need to seriously talk about. Dealing with an angry child is a challenge to parents as well as teachers who are committed to bring up the child in the best constructive and ethical guidance. 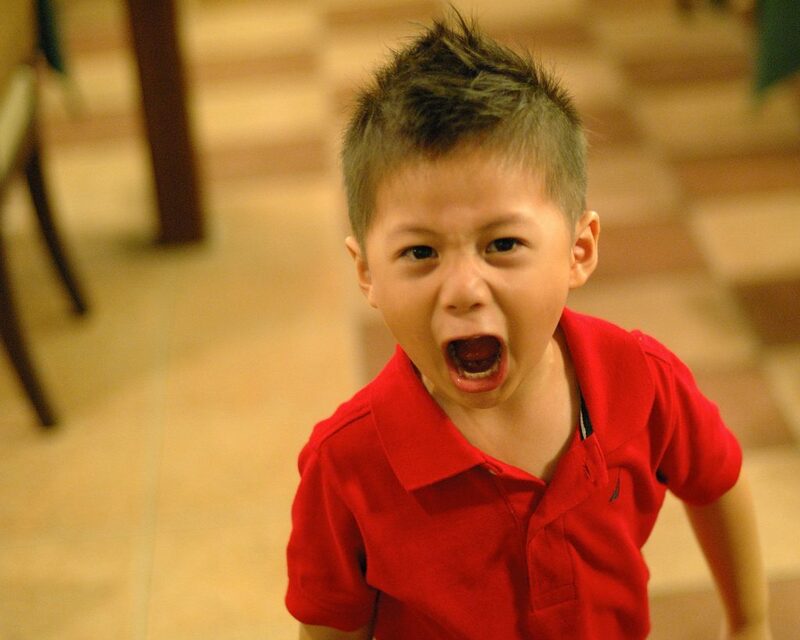 What do we know about children’s anger- the contributing factors and how to manage them during this emotional state? According to Lewis and Michalson (1983), anger has three parts. The first is anger as an emotion. What triggers the emotion of anger or frustration in a child? In a classroom scenario children may face a lot of provocations during their interactions with peers. It may be a verbal conflict, somebody’s teasing or taunting may get to their nerves or rejection from peers during play time or not being allowed to play along. Physical assault such as hitting, kicking or pushing also plays a major role. Another reason maybe the conflict over possessions-taking a child’s property or occupying their space can get some children really angry. The second part is how they express this anger. When some children may just stick to vent out their anger through a facial expression or crying, some of them tend to turn aggressive and retaliate physically or verbally. Very few children talk things through, either by letting the other person know that they dislike what the provocateur is doing or by asking them not to touch their belongings etc. There are also some that seek adult solutions from teachers or parents during or after a squabble with their peers. The third part and the most important part for adults is that understanding and managing this emotion – Anger. Children’s ability to reflect on their anger is limited and they need the guidance and support of the elders to understand and manage these feelings in a healthy way. As adults, whether you are a teacher or a parent, we can guide our children to understand their anger and manage this emotion in a direct and peaceful way. This is important because aggressive behaviour and physical assault as revenge is a dangerous thing at an early age as children are not bothered about the damage that they can inflict on each other during a fight. While we can discuss how to manage them after the child is angry, there are measures to be taken from the very beginning of a child’s learning i.e. from the child’s home as well as preschool learners. Children need to grow in a healthy environment and should be able to acknowledge their feelings whether they are pleasant or not and they should be assisted in learning that they need not be ashamed of their feelings whatever they might be; this is of utmost importance. This will create a safe emotional climate for children. Similarly, classroom systems should also teach them to observe boundaries that are clear as well as firm and flexible. It is also time for us to rethink how we have been managing our anger around children. They are most likely to learn from what they see and if we do not set a good example how do we expect them to learn healthy management of their anger? Adults should take responsible measures by accepting and acknowledging their angry feelings and expressing them in a non-aggressive way. This not only helps your children but it helps you as an adult to ensure our own healthy emotional stability and in our interpersonal relationships. One of the best ways to teach children to understand anger is by encouraging them to talk about it. Listen to what they have to say without judging or evaluating them, these can throw them off the rail. Be careful not to order them to feel differently too. Ordering them will only arouse even more angry reactions from most children. Interactions where children are able to openly talk about their feelings can let out the steam and studies show that these open talks have been helpful in creating a happier environment in classrooms. Another step that can be taken by teachers is to communicate with parents for assistance in helping their children deal with emotions and share with them ways in which they can be managed. Articles about how to deal with anger and how to relax the children can be included in the newsletters that are sent to parents. Positive guidance strategies will help teachers as well as parents to help children grow up to be responsible and non-aggressive individuals when it comes to anger management. As the unit in the society that children are associated and learn from initially, we have a duty toward educating the next generation in all ways possible, and we are all striving towards the best for our children. Helping children manage their emotions in a healthy way comes as a major part towards this end. Still you didn’t say what we want to do to control their angry.If they talk about their feelings, will control their angry?